Visitors are welcome to play the course at anytime except for a Saturday from 10am to 12:30pm and a Tuesday from 10am to 12noon. These times are reserved for club members. Please pay and collect your green fee sticker from the club house before you begin to play. contact us at least 1 day before playing. 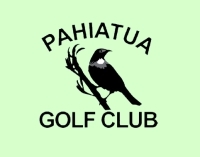 ​Pahiatua Golf Club is located between Woodville and Pahiatua on State Highway 2 near the iconic Tui Brewery at Mangatainoka. The entrance is on the right just after the 100km speed sign when coming from Mangatainoka and at the bottom of the hill on the left when coming from Woodville. The club rooms and bar are open during member playing days. These days are Tuesday (ladies day), Thursday, Saturday and Sunday. EFTPOS facilities are available at the bar. Golfers can use the 2nd and 11th fairways for practise and for the short game the area adjacent to the carpark. The practice putting greens surround the clubhouse. Showers are provided in the men's and ladies' locker rooms. Please bring your own towel. 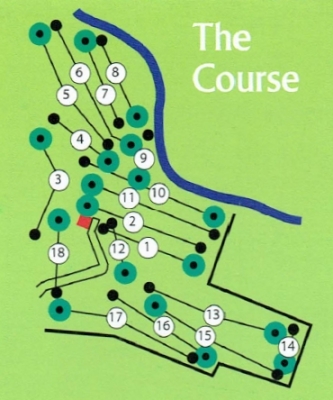 There is a full 18 hole par 3 course also available, marked by orange tees. This is excellent for those wishing to concentrate on their short game.